Great News for Windows 7 Media Center Users (or even future MC users) - after hearing rumors for weeks, I've received confirmation from a reliable source that Hauppauge is working directly with Microsoft to ensure the Hauppauge HD-PVR will work with Windows 7 Media Center. A driver to make this happen is in the works and the Hauppauge team is working to ensure everything works properly including video capture, video playback, EPG support, scheduling of recordings and IR Blaster support. If you can't wait for the official support, you could always give the third-party addon DVBSBridge we've been telling you about over the past weeks, but if your wanting something a little easier to set up you might want to hold off to get the official Hauppauge driver when it gets released (no official date determined at this point). 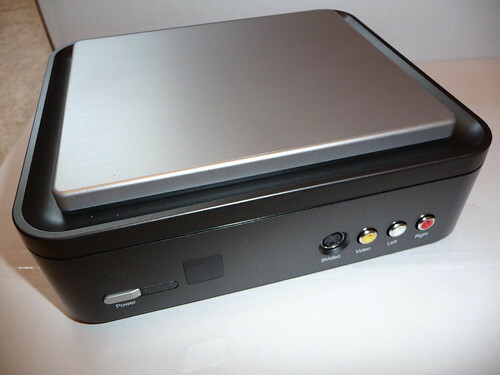 The Hauppauge HD-PVR allows you to view and record all channels from a cable/satellite box whether encrypted or not since it uses the analog hole. Great news for Media Center users because it provides an option for the masses to add HD and digital content to their media center PC even if it's not OEM. Now that we know Windows 7 will be getting Hauppauge HD-PVR support, all we have left to wonder about is what we might (or might not) see from DishNetwork (Project Draco anyone) or even DirecTV some time in the future. Hopefully we'll hear more on those two, but for now it's great to see Media Center getting access to the component video recorder that all other HTPC programs have had for the past year. Another great sign for Microsoft Media Center's future. Stay Tuned to GeekTonic for more details as they are available.